There’s one thing that separates the greatest, most successful leaders from the rest. It’s the ability to deliver what Jim Collins, author of Good to Great, calls sustained excellence, or consistently high performance. It’s the mark of a level 5 leader, as he points out in an article on Harvard Business Review. But sustaining excellence isn’t always easy. We all have days where everything seems to be in flow. We are able to work creatively, collaborate efficiently, make decisions quickly and generally get things done and achieve the results that we desire. Nothing feels better than those days. But then there are the others. Almost invariably those highly productive days (or purple patches) are followed by days where we procrastinate, fail to find the right direction, and get stuck on unproductive tasks (like managing email and checking social media). Those days tend to leave us feeling demotivated and uninspired – and that’s a feeling that can last for days. The difference between the greatest and most inspirational leaders, the most successful entrepreneurs, the most efficient managers and the most productive employees and everyone else is that they tend to have more great days than the average person. They turn in a consistent high performance no matter what they’re doing. How can the rest of us approach that level of consistency? I believe there’s a lot we can do to set ourselves up to be more productive by taking a holistic approach. Let’s start with your physical well-being. Ever tried delivering something big when you’re overtired, dehydrated or hungry? It just doesn’t work. You just can’t be productive and efficient if you’re unwell or lethargic. It might seem counterintuitive to schedule time to exercise, eat or rest when you have a huge deadline looming, but it isn’t. The better your level of rest and fitness, the more productive you will be. While you’re at it, eat right as often as possible. Aim for a balanced diet, including your five a day, vitamins and minerals, foods that enhance energy and brainpower naturally and adequate hydration. Being a workaholic won’t help you perform at the highest level. Look at Richard Branson. The undeniably successful founder of the Virgin Group says: “My family means the world to me, much more so than business.” In other words, it’s important to have balance, and spending time with family and friends is part of that. If you neglect your personal life, then it may implode and you won’t be focused if you’re thinking about problems at home. An outside interest is another part of being balanced. Whether that’s exercise, a sport, a hobby, listening to music, reading or something else, doing activities that aren’t work-related will relax you and free your mind. 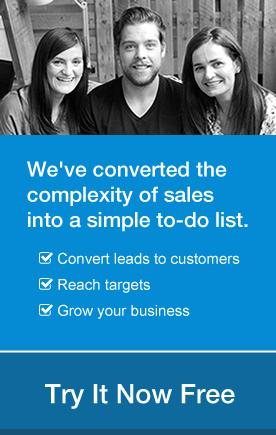 You’d be surprised how often this leads to creative solutions to business issues. All of this improves focus, and that makes you more effective and efficient. You can also train yourself to be productive. Take freelancers, for example. From the outside, it can look like they have a lifestyle that doesn’t require much actual work. But ask the most successful freelance professionals and you will find that they structure their time so they have blocks for writing, designing or coding, other blocks of time for coming up with ideas or fine tuning and others for research, email, social media and meetings. And when it’s time to do a particular activity, they do it, whether they feel like it or not. Over time, this creates the habit of producing on demand – in other words, productivity becomes a habit. If you have a plan, it’s easier to succeed. As we have seen before, some of the most successful people kickstart their success by writing a short task list (3 to 5 items) and working their way through it methodically. Some of them even write it down the night before so they can hit the ground running in the morning. That takes care of short term tasks. For the medium and long term, set goals that you can achieve weekly, monthly and annually. Review and check these off regularly so you know you are getting somewhere. This kind of structured approach enables you to perform well more consistently. In Star Wars, Yoda said: “Do. Or do not. There is no try.” That applies equally to motivation. If you are only trying to be motivated, you’re not fully committed to the idea. On the other hand, if you decide you are motivated, then you are committed and things start to happen. It’s about mindset and putting the structures in place to support that mindset. Keep doing this and you will maintain a consistent level of motivation and therefore a consistent level of performance. That’s how you will get more purple patches. You know one thing the most successful and productive people have in common? They found something that wasn’t quite good enough and changed it, like James Dyson and the vacuum cleaner. If you accept that something is good enough, you will never be great, says Jim Collins in Good to Great. Seth Godin says much the same; he urges marketers to be purple cows and stand out from the herd. If you want to be more productive and successful, then don’t settle for the status quo. Always question it and see how you can make improvements. 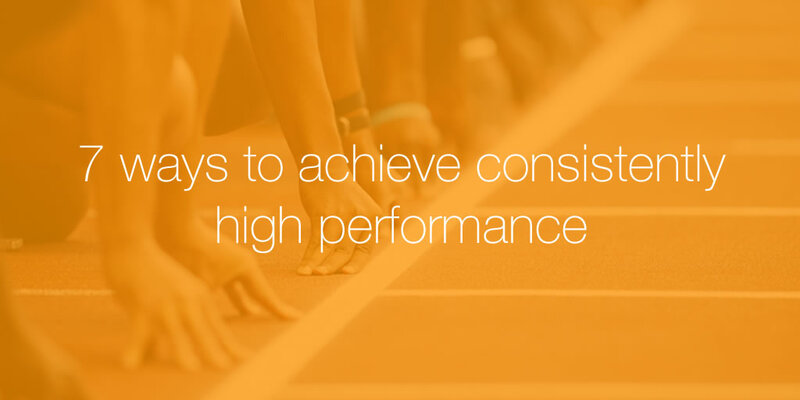 That’s the best way to ensure you deliver an excellent performance, consistently.